Created by “the Einstein of Love” (Psychology Today), this two-day workshop is grounded on what actually works in relationships that are happy and stable. See for yourself why millions of couples worldwide have benefited from the Gottman Method. The Art and Science of Love is designed to strengthen relationships through engaging presentations and experiential activities. If you have a strong relationship, this workshop will provide you with the insights and tools to foster further closeness, friendship, and trust. If your relationship is distressed, this workshop will provide you with greater understanding of your relationship and a roadmap for repair. Click here to read more about the workshop. Please note the price listed is per couple. You will receive a confirmation email immediately after submitting payment. Closer to the workshop date, a member of our staff will contact you to finalize your registration and answer any questions you may have about the workshop. John Gottman, Ph.D. and Julie Schwartz Gottman, Ph.D. are the co-founders of The Gottman Institute and the co-creators of The Art and Science of Love. They present the workshop to more than 1,500 couples in Seattle every year. Donald Cole, D.Min. and Carrie Cole, M.Ed. serve as the Clinical Director and Research Director of The Gottman Institute, respectively. They are both Certified Gottman Therapists and Master Trainers in Gottman Method Couples Therapy. They were personally trained by the Gottmans and regularly co-present with them. Darren Wilk and Lawrence Stoyanowski are two of a handful of counselors in the world personally trained by John and Julie Gottman and certified to teach Gottman Method Couples Therapy in Level 1, 2, and 3. They also are the only Canadian consultants in the organization and have led over 40 couples retreats. Click here to read their story. If cancellation is made at least two weeks prior to the workshop date, a refund less a $50 processing fee will be issued. Within two weeks of the workshop date, you have the option to transfer to any other workshop date within one year. 14 CE hours available for this workshop! Click here to register. 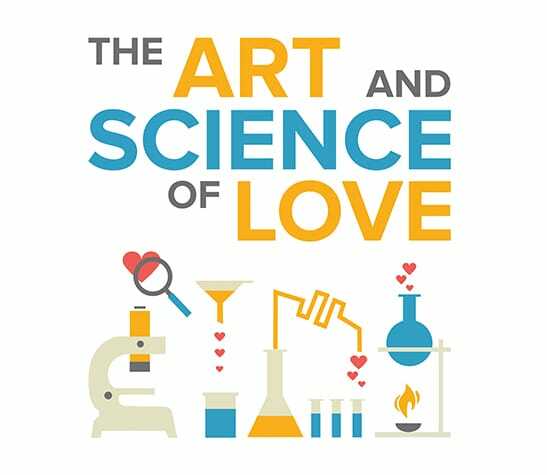 All Gottman-trained professionals are now eligible for a $250 discount to attend The Art and Science of Love workshop in Seattle. A personal workshop experience is beneficial for your professional and personal toolkit, and will help you to better integrate Gottman interventions into your work with couples. Click here for further details. You are eligible to attend this workshop in Seattle with no out-of-pocket expense. Your registration fee is paid for by your EAP plan through Wellspring Family Services. If you are a Microsoft employee, submit your registration request here. It is an honor to support the military and their families. All active-duty military and veterans are eligible to receive a $200 discount to attend The Art and Science of Love workshop. To receive this discount, use the code MILCWS at checkout. Please bring your military identification with you to the workshop. You will be asked to verify your membership before entering the venue.